The commonly used adhesive packing tapes that are used in sealing medium to heavy-duty carton sealing, shipping, inventory management and in logistics industries are actually BOPP tapes. ... The use of Polypropylene in manufacturing adhesive tapes is because of its amazing features and properties. We can supply printed Bopp tape aslo as per customer requirement. Excellent clarity and high gloss. Flawless dimensional stability and flatness. Resistant to low and high ranges of temperature. UV, heat and moisture resistant. We Speciality Tapes Industry started our journey in 1994 with converting facility and now we are the leading manufacturer and exporter of various kinds of adhesive tapes for commercial, industrial and household purpose. 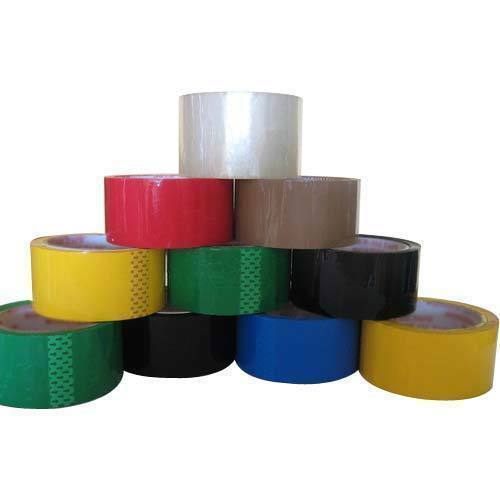 Speciality Tapes Industry apply the principle of "Reputation First and Customer First" and based on it's policy of Quality and Stability has found many famous brands in the indian market.